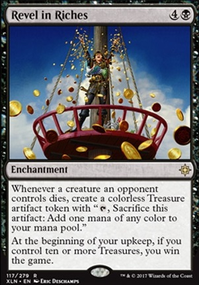 This has literally 0 cards from the Boros guild, or even Guilds of Ravnica at all. I think they would make a great addition, but this deck is more of a Pirates/Wizards deck. It would benefit from specializing in one over the other. Right now, only one creature has toughness greater than one. If someone plays a card that deals one damage to target or all creatures, like Forerunner of the Empire, or Niv-Mizzet, Parun, your entire board is gone. That's not winning quickly, that's gaining running realllllly fast into a brick wall. 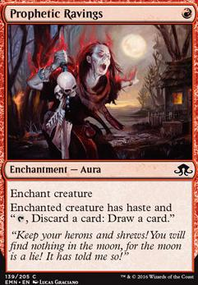 I think your deck would benefit from a few things: - Specialize in either pirates or wizards. That way, you can benefit from the best part of one, rather than the eh parts of both. If you ditched the wizard/burn spells and picked up things like Fell Flagship that really buffs pirates. If you're willing to splash red or blue, Dire Fleet Neckbreaker is a great addition. 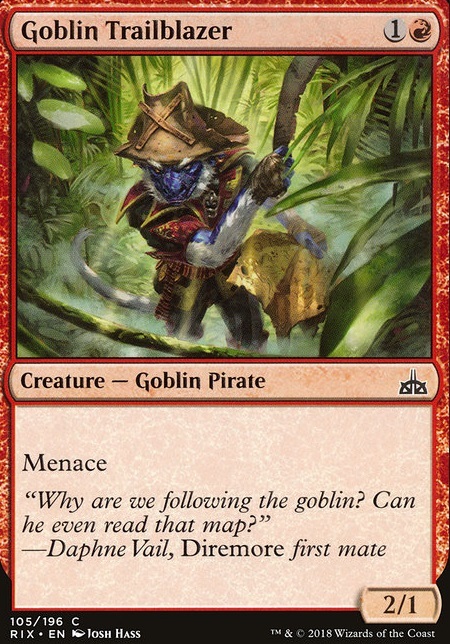 If you don't want to splash, Goblin Trailblazer is a good card just because you're not at the risk of being blocked by one 1/1. -Get enchantments or creatures that buff everything else. Cards like Radiant Destiny are good, especially because you already have white in this deck. If you want to stick to red, I would suggest Street Riot. -Embrace the white part of your deck! 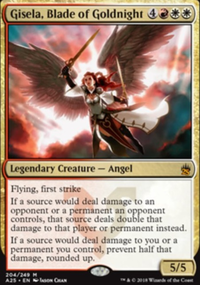 You have the Boros colors with no Boros, but you'd really benefit from a few mentors like Tajic, Legion's Edge or Goblin Banneret. Removal like Justice Strike is important to get rid of big threats like Ghalta, Primal Hunger. Good luck with your deck! It's a great card for GPG, but I'm unsure what to cut...Goblin Trailblazer is propably the worst card, but that would leave the 2-Mana-Slot to open and we'd have to many 3-Drops. I decided to cut Vanquisher's Banner and Goblin Trailblazer for 4 Metallic Mimic and dropped 2 of the Sunscorched Deserts for 2 mountains. 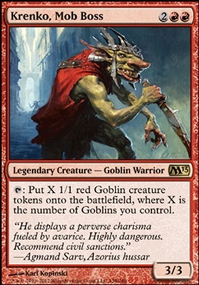 I think Goblin Barrage is worth keeping in the deck just for the ability to target planeswalkers thanks to the new ruling. I'm not sure what you mean for Rigging Runner since he is already a 4 of and I decided 1 more Goblin Chainwhirler was probably smart. Thank you for your suggestions! I really like the red/black aggro pirates. Fathom Fleet Captain is strictly better than Goblin Trailblazer . Maybe test out Cut / Ribbons in place of Bombard? Instant vs. sorcery may be the difference. These changes aren't too pricey. I like some of the choices you have here, and a deck like this will definitely take some people by surprise. I have to disagree with Mr. MtnFr3sh. You want a lot of Eidolon's, even if they hit you. Why? Because your pressure on them is almost always greater than their pressure is on you, and you need every ounce of damage you can get. 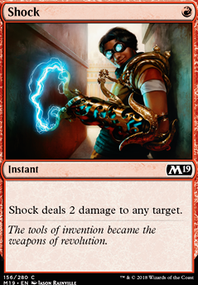 Modern plays with a lot of spells with cmc less than or equal to 3, so in general every spell your opponent's cast will Shock them. Eidolon of the Great Revel is great because even if they use a removal spell to kill it, at least you get some value out of it. Goblin Trailblazer may have some evasion, but he dies very easily and has no immediate impact on the board, which is not what you want for burn. Burn is trying to kill the opponent as fast as possible, which Eidolon is good at and the Trailblazer is not. 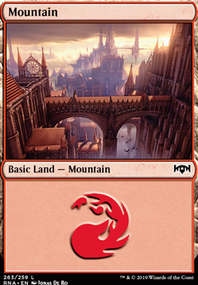 Almost every competitive burn deck plays a full playset of Eidolons; none play Trailblazer. Looks like a good burn deck with a good base. My main concern would be the Eidolon of the Great Revels. Considering every spell except Chandra will trigger it hitting you, I'd try to replace it with something else. If you want to keep it low cost mana wise, I could recommend a couple things. Goblin TrailblazerThat way you can have a menace on the field for you. Now, I do mostly play standard, these recommendations are based on what I'm familiar with that I think could be a good addition. How about Goblin Trailblazer instead of Swab Goblin or a couple of burn spells? I know your starting out so here are some cheap recommendations to improve. You might be able to get these cards for free by going to a store that gives away free commons/uncommons. Drover of the Mighty, Kinjalli's Caller, Otepec Huntmaster, Savage Stomp, Ranging Raptors, Steadfast Armasaur, Ravenous Daggertooth, Raging Regisaur, Raging Swordtooth, Territorial Hammerskull, and Thrashing Brontodon. then work on the instant, sorceries, and enchantments. Maybe add more "fight" type effects to take advantage of enrage triggers like Setessan Tactics, ]Savage Punch, Ambuscade etc etc.